A report published in the Canadian Journal of Cardiology detailed case of a 70-year-old man from Canada who tried cannabis lollipop one night to ease his pain and help his sleep. Shortly after eating most of the cannabis lollipop, the man began to experience chest pain. He began to have frightening hallucinations and "felt he was dying." The elderly patient was treated at St. John Regional Hospital, and tests showed he suffered cardiac arrest. After treatment and the effects of THC his hallucinations lowered and his chest pain stopped. The patient has a history of heart disease and had taken heart medication before consuming the lollipop. Dr. Alexandra Saunders, senior resident of the Dalhousie University Internal Medicine Program, discovered that cannabis sweet contained 90 mg of tetrahydrocannabinol (THC), the chemical compound responsible for the psychological effects of the drug. The man ate three quarters of it, which is approx. 70 mg TCH, well above the maximum recommended daily dose of 20 mg TCH. "The patient's heart disease was probably triggered by unexpected strain on his body from anxiety and fear hallucinations caused by the unusually large amount of THC he ingested," Dr. Saunders. Dr. Neal Benowitz, Head of Clinical Pharmacology at the University of California, said in another editorial that even a moderate amount of THC "can produce significant toxicity" to a naive user, especially an elderly person. THC stimulates the sympathetic nervous system, causes an increase in heart rate and blood pressure, an increase in oxygen consumption and a release of stress hormones that can interfere with the coronary arteries. It can also cause paranoia, panic, hallucinations and anxiety when consumed in high amounts. 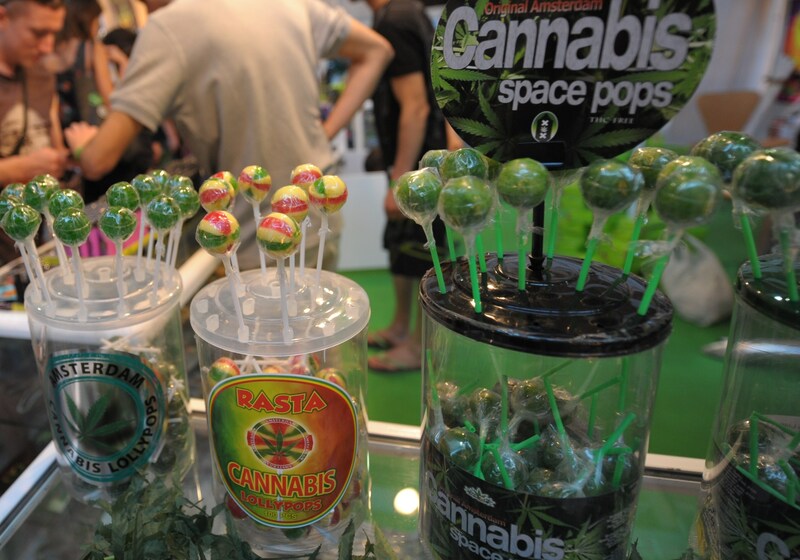 The absorption of THC in edibles as cannabis lollipops is "slow and irregular," Dr. Benowitz. Therefore, it is harder to dose and people who eat them may end up eating more before they can actually feel the effect. Previous cases have been reported to associate cannabis with abnormal heart rhythms, heart attacks and strokes. And there is little information for patients and health professionals about the use of marijuana among elderly patients, especially patients with cardiovascular disease. Therefore, Dr. Benowitz the importance of advising and caring for these patients to ensure optimal health care. Dr. Saunders, on the other hand, urged consumers to pay attention to the THC content of a cannabis product. "[T] his case draws attention to the fact that just because something is legal does not mean that it is safe and does not mean that it should be taken by everyone. We do not want to demonize what we just want that our elderly patients with heart disease have the right guidance, "she added.